I’ve got an insulated poll building with 200 show rabbits in it, plus my office, and I just installed a Bryant Preferred 127A air conditioner. Heat is much harder on rabbits than cold is, and after losing 35 last summer I decided to do something about it. I spend 10 hours a day some days out there doing bookkeeping for local businesses so I’ll enjoy the reprieve from the heat too. I gathered central air conditioner prices and information about Trane, Goodman, Carrier and Bryant. I’ve had several excellent Bryant systems over the years and I couldn’t find anything in any of the others that would want me to change brands. Plus, I know the company owner well, and he’s a class act. My brother ran some duct work and the guys from Bryant installed the a/c unit along with the coil and air handler – no furnace since I’ve got a wood burning stove in the office and that’s really all that’s needed. Up to 16.5 SEER, Energy Star. 2-stage scroll compressor for balanced cooling and quiet, efficient operation. Compressor blanket for noise reduction – 73db operating noise level. Puron refrigerant that does not contain chlorine. 10-year limited warranty covers everything. When a poorly installed air conditioner breaks down it is definitely not cool. Entrust the installation of your system to a qualified contractor who has the training, tools and know-how to install and adjust your system to achieve the peak of its performance and well as be problem-free for as long as possible. Quality installation always pays for itself in terms of optimized efficiency and durability. Bryant makes several series of air conditioners and their Preferred series models like the Bryant Preferred Series Model 127A central air conditioner are considered their mid-range options. This series offers Energy Star qualifying SEER along with prices that are more affordable than the top of the line Bryant Evolution line. In other words, very solid performance meets good value here. 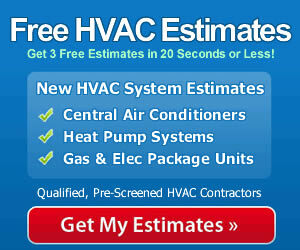 Vi in Edwardsville, IL sent in the Bryant Preferred Series Model 127A 16.5 SEER central air conditioner price she paid. We appreciate any HVAC prices from readers, so if you have one to share, feel free to use our Share an HVAC price page to submit it.